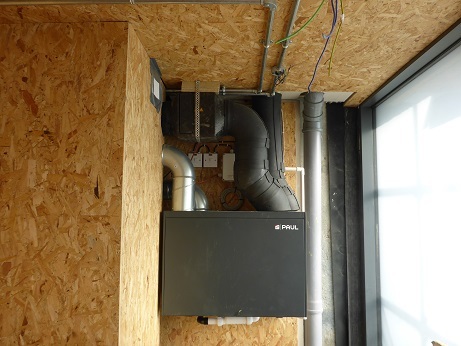 We offer a fitting service for MVHR units and all the associated ducting, insulation, frost-protection units, condensate traps, wiring and terminals. 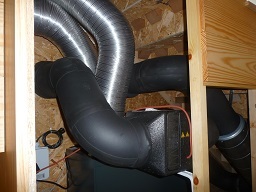 We are one of the Green Building Store’s few recommended installers. 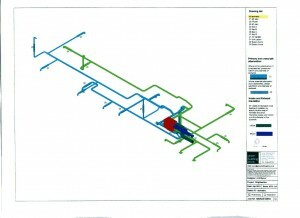 A well designed system is very important as this will have been modelled for noise, air speeds and pressure drops. The actual units are very quiet but if they have to work too h ard or the air speed in the vents is too fast you will notice it. We do not offer a design service. Green Building Store offer this; they have the design expertise and software to acoustic model the designed system, check the air-flow velocities, pressure drops and guarantee the correct ventilation volumes. 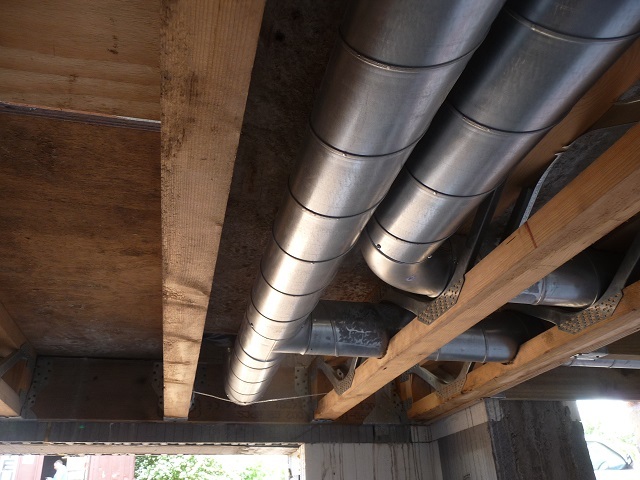 What we offer is experience in fitting the duct work: we take the isometric drawing of duct work that look like an early Windows screen-saver and turn it into real duct runs. If on-site redesign is needed we will confer with Green Building Store or your system designer to make sure our redesign will still work to the designed specifications. We do like to be on site before the plumbers and electricians as spiral bound ducts are not as flexible as cables and push-fit pipes.